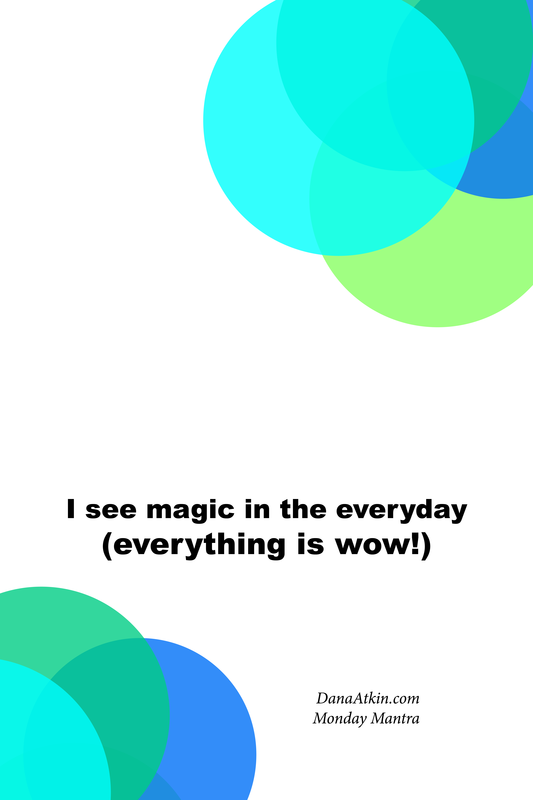 Monday Mantra:: Everything Is Wow! Today’s monday mantra is courtesy of a 18 month old boy. We babysat him for the first time this weekend and his favourite word at the moment is ‘wow’. Everything is wow to this young man. He sees the magic in everyday things. A bowl of pasta is “wow”, blinds on the windows are “wow”, the staircase is “wow” and even a book creates a resounding “wow”. It’s beautiful to watch the eyes light up and hear the exasperation and intensity of the wow at all of these seemingly average things. This week, I challenge you to look at everyday items and situations through new eyes. With a sense of wonder, a sense of magic. Because we often forget that the simple things are often the things we take for granted. When you catch the train to work this week, think wow. When you eat your cheese toastie for lunch, think wow. When you get back to your home, partner, children or pets, think wow. The more you look for the wow, the more you find the wow, the more you’ll see and feel the wow. As always, download the image and save it to your phone or desktop or print it and pin it somewhere. When you see it, say it and if you think someone you know could use this mantra, share it.